Create your very own Push Pin Travel Map to track your travels with our Classic DIY World Travel Map kit. This Classic Map of the World is one of our most detailed maps and is perfect for the traveler who has been to cities big and small all around the world. Our Classic DIY World Travel Map Kit is an excellent choice for people who enjoy traveling around the world and want a visual representation of their travels. 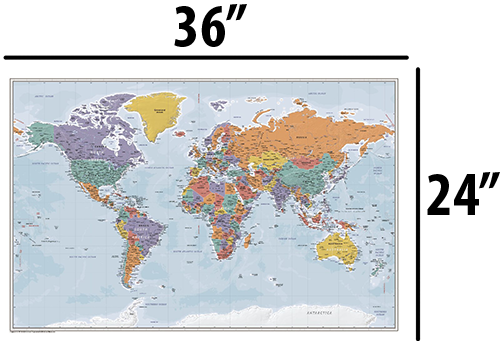 Our DIY Travel Map Kit comes with the 24" x 36" map rolled in a tube, 100 map pins in a mixture of red, white and black, a personalized plaque and instructions on how to mount and frame the map yourself. 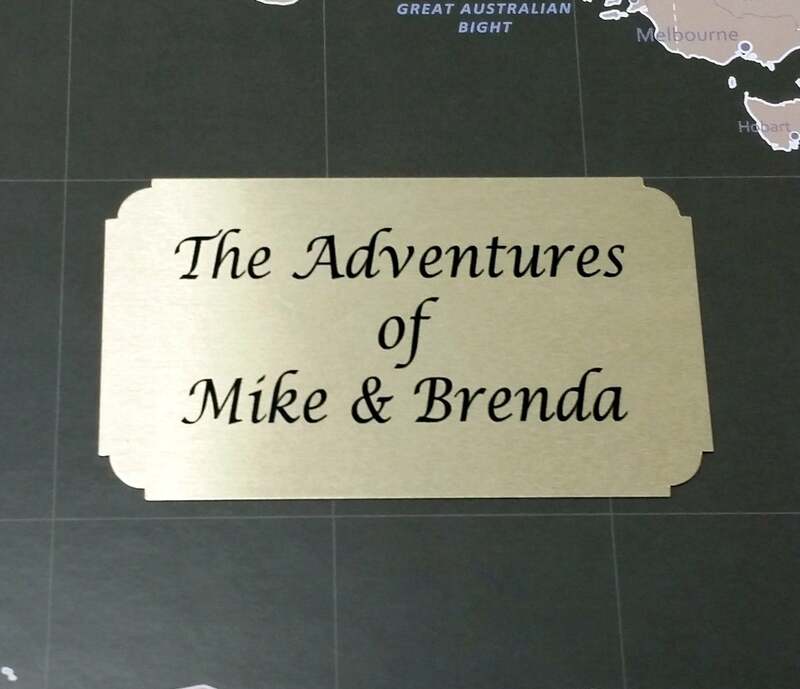 Each DIY world travel map kit comes with a personalized plaque so you can make the map your own. The plaque will come with double sided engravers tape so you can put it on the map wherever you like after it is mounted and framed. Need some inspiration for what to put on your plaque? Feel free to check out our personalization ideas for some of our more popular quotes and sayings. Plaques may contain up to 3 lines of text with a maximum of 25 characters per line. Please contact us if you have something special in mind that is slightly longer, and we will see what we can do! Good news! Since our DIY Push Pin Travel Map Kits are shipped rolled in a tube, they can be shipped worldwide for a relatively small cost. 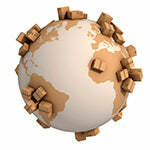 This saves you a fortune on shipping internationally when compared to our Framed Push Pin Travel Maps. Map as described. Very quick turnaround with shipping order. Map was packaged very well and instructions were included for mounting the map. First of all, the customer service is really kind and in touch with the consommer. The shipping is amazingly fast! Ordered on thursday, received on thuesday in Spain. The map is of very high quality, and I'm overall very satisfied. Beautiful map, and displays beautifully. Beautiful map, and displays beautifully. We framed the map, and now it looks so beautiful over my desk. I would definitely recommend this map to anyone that travels.